Dale Lyon's tug boat working in a river of logs. Dale Lyon’s tug boat surrounded by a sea of logs on Coeur d’Alene River. 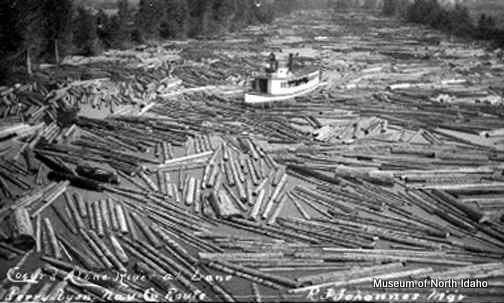 Logs were dumped into a large river or lake where a log boom contained them to be towed to the mill. 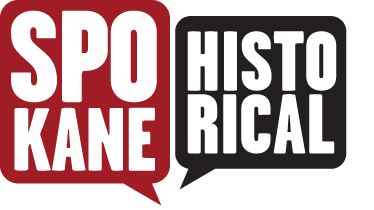 Courtesy of The Museum of North Idaho.